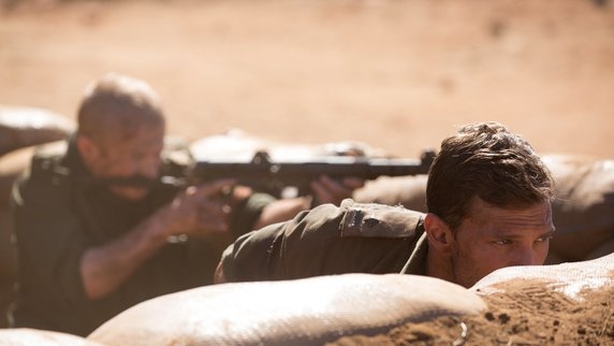 The first trailer for Jamie Dornan's new movie, The Siege of Jadotville, has been released - and it's a nail-biting and tense affair. The 50 Shades Of Grey actor co-stars with Jason O’Mara in the war drama, which tells the true-life story of the siege of 150 UN Irish troops in the Congo in 1961. 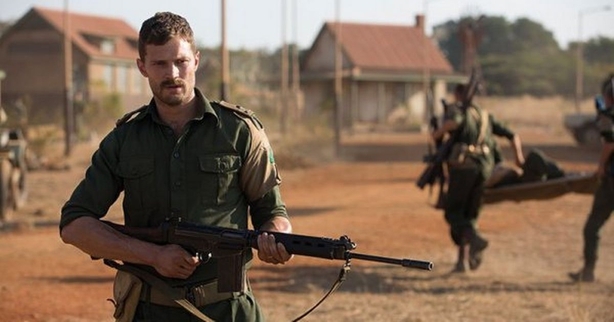 Dornan plays army officer, Commandant Pat Quinlan, whose men held out for six days against a force of 3,000 local troops led by French and Belgian Mercenaries working for the mining companies. Directed by Richie Smyth, and filmed on location in South Africa and Ireland, the film is adapted from Declan Power’s book The Siege at Jadotville: The Irish Army’s Forgotten Battle. The tense trailer shows an impending sense of dread with fears mounting over the lack of security at the UN compound. The attack is mounted as the soldiers gather for mass and are forced to defend themselves against an overwhelming enemy force. The film has already proved to a hit with audiences at its premiere at this year's Galway Film Fleadh, where it received a standing ovation. The reviews from those who attended were hugely positive. #Jadotville was fantastic really enjoyed it. Great to see a huge Irish cast and we were sitting in front of actual veterans who loved it! Just out from @netflix premiere of #Jadotville @GalwayFilm thrilling true story relentless action, superb acting & one to watch - brilliant! Since the premiere, it’s been announced that the heroes of Jadotville and their families will be awarded a special military citation for bravery to be presented later this month. There will be a special screening of The Siege of Jadotville on Monday September 19 in The Savoy Cinema in Dublin to celebrate the film and honour surviving Jadotville solders, followed by a Q&A with Jamie Dornan, Richie Smyth and Alan Moloney. 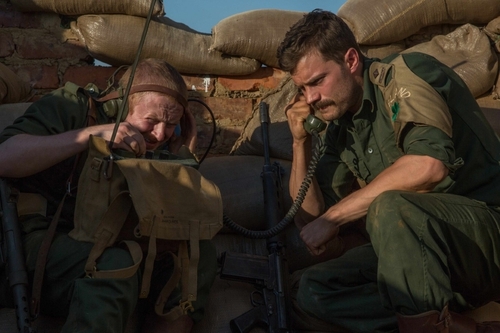 The Siege of Jadotville will be released on September 19, withthe Q&A will be live streamed in cinemas. The list will be announced next week when tickets go on sale. The film will also be available to stream on Netflix from Friday, October 7.